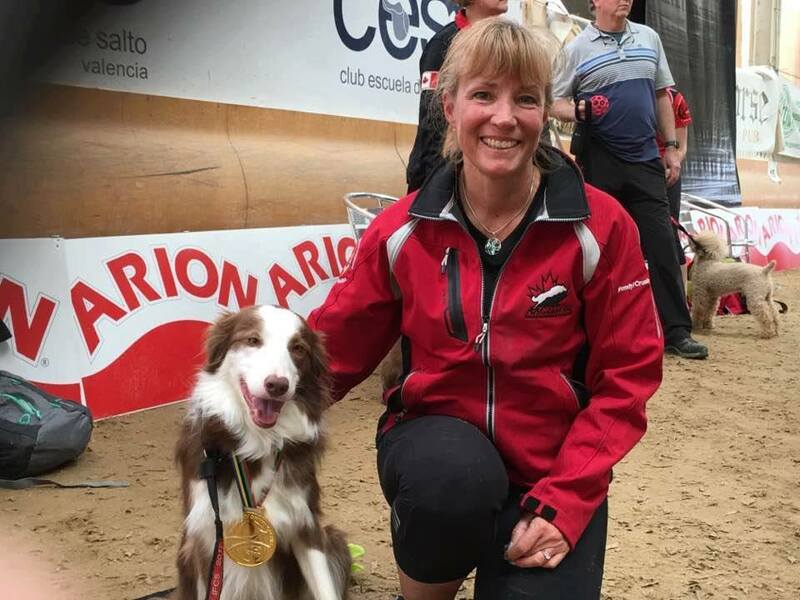 DogWorks instructor, Wendy Alexander and her dog Crush, just won GOLD in Biathlon at the 2016 IFCS World Championships in Spain!! I wanted to say how proud I am of all of you who competed in the regionals! Many of you had victories other than just accumulating points and all of you made a point to enjoy your dogs. So many of you were so close too! I am proud of all of you. Here are a list of the National Qualifiers! 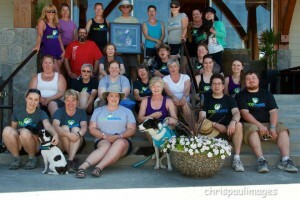 DogWorks Students 2016 BCYR Qualifyers! 22) William Wallace (ID# 18022) Miniature Poodle – Tracey Mallinson 404.80 – ummm, I think you owe me some money – over 400 pts just like I said 😉 SO AMAZING!!! 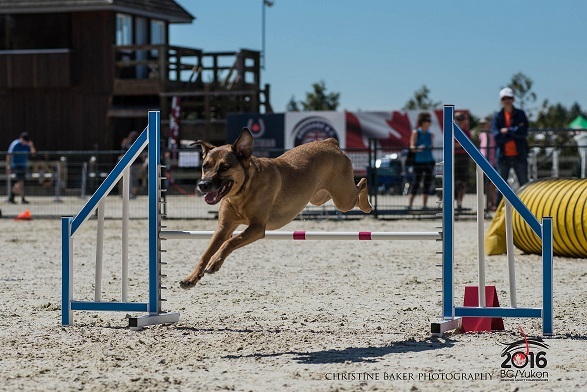 17) Curry (ID# 18149) Australian Working Kelpie – Sherry Taylor 451.02- great job in jumpers, wow! 18) Torque (ID# 20185) Koolie – Dove Cresswell 446.63 – what can I say Dove – you are my hero! 24) Squeeze (ID# 23530) Australian Shepherd – Kim Marosevich 427.80 – just WOW! First time competing and competed in a couple of trials – what a future you two will have! 36) Hurricane (ID# 21282) Border Collie – Elke Starr 374.19 – great job Elke with the speedster – he is such a fast boy! 6) Onni (ID# 14480) Miniature Schnauzer – Eileen Tuulos 486.54 – Love watching you both – such a great team – congrats! 9) Camilla (ID# 22812) Miniature Schnauzer – Karolyn Jackson 461.23 – such a great job Karolyn! Congrats! 16) Fintan (ID# 18317) Shetland Sheepdog – Kelly Moon 366.12 – YAY Fintan! Kelly such a great attitude working with a shy dog! 4) Kevlar (ID# 16200) Australian Working Kelpie – Christine Woodley 535.55 – Congrats Kevy and Christine – AMAZING job! 7) Rikki (ID# 20183) All Canadian – Julia Schwark 487.05 – Julia you and Rikki get the most improved award – WOW! 11) Rylee (ID# 19384) Golden Retriever – Dorothy Craig 443.13 – WTG Dorothy some amazing runs and look at those gambles! 24) Takoda (ID# 22312) Polish Lowland Sheepdog – Shelley Anderson 365.23 – first regionals and qualified – congrats! 3) Beezer (ID# 17726) All Canadian – Faren Sandberg 492.91– WTG Brown Dog – such a smooth team! 11) Dawson (ID# 20159) Australian Shepherd – Peggy Tunks 363.53 – WTG Dawson but watch it your brother is coming for you – ALMOST! 3) Gadget (ID# 11560) All Canadian – Cari-Ann Ryall 505.06 – WTG Cari-Ann – you and Gadget are always amazing! 3) Stanley (ID# 16322) English Cocker – Joan Rivett 478.05 – WOW!!! You had such an amazing weekend and especially running through so much pain – congrats! 2) Chico (ID# 15003) Border Collie – Laurie Huston 591.38 – So nice watching the two of you Laurie – just like butter! 18) Jack Sparrow (ID# 18021) Kleinpudle – Chris Elias 390.50 – Chris I am so proud of your improvement and Jack’s consistency! SUPER AMAZING! 2) Eddie (ID# 15122) Manchester Terrier – Lale Aksu 538.09 – WTG Lale – no surprise to see you and Eddie on the podium – so proud! Wendy Alexander 2014 IFCS World Team! 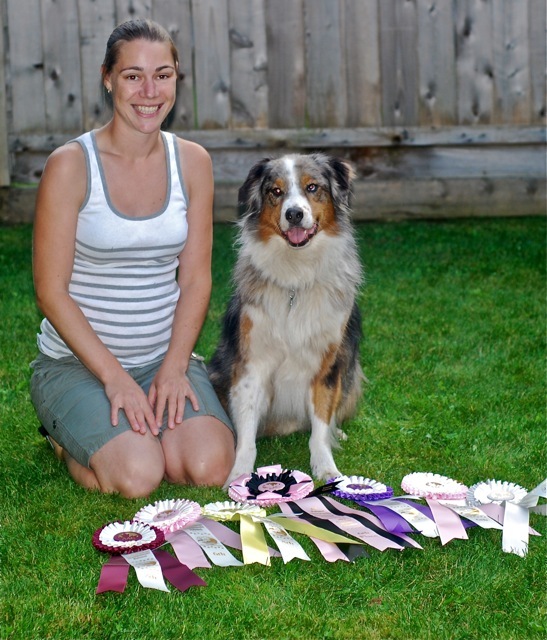 21) Zipper (ID# 17782) Australian Shepherd – Claire Barone 170.0 – congrats on your 1st regionals! Corrine & Beau: 12th place, 360.14 WAHOO!! Corrine & Bella: 14th place 350.11 WAHOO!! 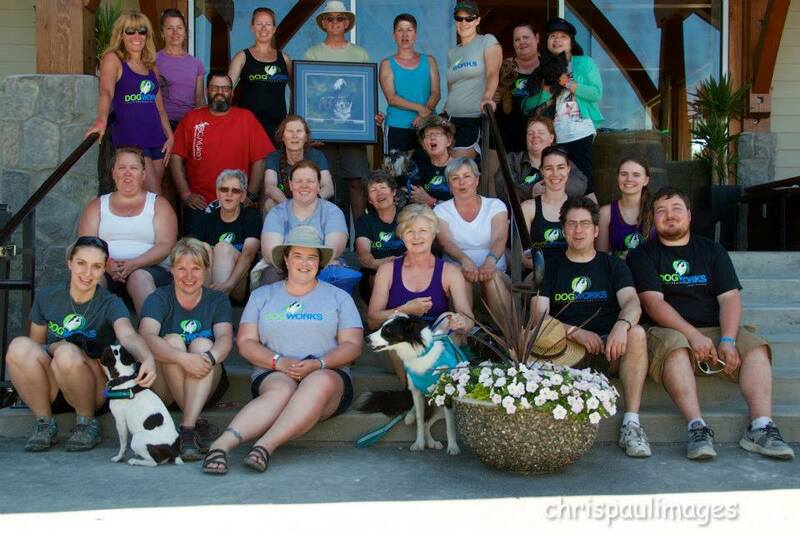 Christine & Kevlar – 9th place, 512.98 – AWESOME as usual – great team! Wendy & Crush – 12th place, 486.91 – yay baby dog! Elke & Hurricane – 21st place, 424.90 – YAY!!! Very proud of you both Elke! Shira & Rukkah – 28th place, 407.69 – YAY TEAM! Proud of you both! Sherry & Tinnie, 37th place, 362.92 – QUALIFIED!!! So amazing for the amount of experience she has had! Bev & Blaze – 323.88 – SO DAMN CLOSE!!! Petra & Storm – 307 – so close, such a fast dog! Mary & Kane – 306.64 – so close, saw some amazing moments out there! Chris & Jack Sparrow – 217 – an AMAZING jumpers run!!! Sylvie & Zappa – 1st PLACE!!!! – 584.13 Champion! CONGRATS! Caroline & Morgan – 1st PLACE!!!! – 555.79 – WHAT A TEAM! CHAMPION!!! Tina & Hazel – 5th place – 403.57 – Wow, congrats Tina – Got a gamble!!! Eileen & Onni – 6th place – 485.81 – WAHOO CONGRATS!!!! Helen & Junneau – 8th place – 470.42 – WTG HELEN!!! Great score! Sandy & Razz – 21st place – 367.00 – QUALIFIED!!!! WTG! Cortnee &Soda – 233.76 – Soda ran happy!! WTG! Sherry & Surge – 3rd place – 584.29 – WTG Sherry so happy for you!! Bev & Nyssa – 25th place, 374.60 – QUALIFIED WAHOO!! And beat her sister! Bev & Jazz – 28th place – 366.33 – QUALIFIED WAHOO!!! Tanya & Kayden- 291.09 – so close!! Some amazing moments! Faren & Beezer – 5th place – 453.89 – WTG BROWN DOG!!! Debbie & Sadie – 7th place – 445.66 – YAY Debbie!!! Peggy & Dawson – 11thh place – 350.80 QUALIFIED YAY!!! Cari-Ann & Gadget – 4th place, 476.86 – WTG ANOTHER PODIUM! Sylvie & Dizzy – 1st PLACE!!! 541.76 Champion – not really my student but wanted to say congrats! Lale & Eddie – 2nd place!!! 529.66 points – WTG, especially with Eddie not feeling 100% wow! Tanya & Codi – 8th place, 423.83 – WOW, I think you won most improved over last year! Joan & Stanley – 10th place, 414.10 – you two just keep getting better, congrats! Kelly &Shelby – 11th place, 413.12 – holy smokes! You would never know how old she is – so happy you entered! Emma & Miles, 15th place, 355.65 – QUALIFIED so very proud of this team! Wendy & Phoenix – 1st place, 672.99 – highest overall points, very proud of my girl! Mary & Avis – 4th place, 571.00, amazing job Mary!! Kim & Ziggy – 21st place – 415.45, GREAT JOB! Wish you were going to Nats! Dove & Riot – 2nd place, 514.92 – you two just keep getting better congrats!!! Shannon & Mila – 6th place, 460.67 – WTG, can’t take any credit but enjoyed watching you! Tracey & Abies – 7th place, 420.74 – wow amazing comeback after an injury WTG!! Mary & Ryder – 22nd place, 338.31 – so close Mary but some GREAT moments! Donna & Breeze – 2nd place!, 532.91 – Such a great team Donna – congrats! Join our class Waitlist to be notified when class spots become available and early access to our registration! Join our mailing list to receive advanced notice when registration opens and early access to register before it is opened to the public!